US policymakers have long conspired to broker what would be meant to appear as a historic deal with the political order in Tehran. It would be a deal almost unreasonably compromising for the United States, in order to enhance the illusion that the West sought every means to integrate Iran peacefully back into the “international community” before resorting to armed and direct military aggression. Knowing that Iran will never exist within Washington, Wall Street, London, and Brussels’ “international order” as an obedient client state, a prescription for regime change in Tehran has long been formulated. Best summarized in the 2009 Brookings Institution paper titled, “The Path to Persia: Options for a New American Strategy toward Iran” (.pdf), this regime change formula includes absolutely everything from economic sanctions and US-backed political upheaval, to the use of terrorism and proxy war to undermine and overthrow Iranian sociopolitical stability and eventually the Iranian state itself. In the lengthy 220 page document, Brookings policymakers acknowledge the necessity to first neutralize Syria before moving against Iran itself. It also prescribes the delisting of US State Department foreign terrorist organizations in order for the US to then arm and back them in a proxy war against Tehran. Among the terrorist organizations mentioned was Mojahedin-e-Khalq (MEK), a terrorist organization guilty of years of violence including the kidnapping and murder of American service members and American civilians. MEK has also continued carrying out terrorist attacks against political and civilian targets in Iran up to present day. It should be noted that these 2009 “suggestions” eventually manifested themselves as the current, ongoing conflict in Syria and Iraq where US, Saudi, and Turkish-backed terrorists are waging war against Syrian, Iraqi, Iranian, and Russian backed political and military fronts, as well as the eventual delisting of MEK. It is clear then, that the Brookings paper was more than a collection of mere suggestions. 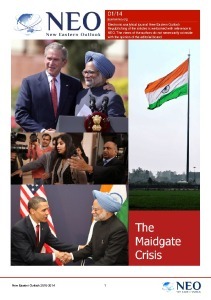 It was an anthology of various operations arrayed against Tehran either ongoing or in the planning stages as of 2009. The only scenarios that have not yet been implemented were those dealing with full-scale war by the West against Tehran predicated on either a staged provocation, or a “superb offer” the Iranians “rejected” or failed to fulfill that justified direct Western – including Israeli – aggression. ...any military operation against Iran will likely be very unpopular around the world and require the proper international context—both to ensure the logistical support the operation would require and to minimize the blowback from it. The best way to minimize international opprobrium and maximize support (however, grudging or covert) is to strike only when there is a widespread conviction that the Iranians were given but then rejected a superb offer—one so good that only a regime determined to acquire nuclear weapons and acquire them for the wrong reasons would turn it down. Under those circumstances, the United States (or Israel) could portray its operations as taken in sorrow, not anger, and at least some in the international community would conclude that the Iranians “brought it on themselves” by refusing a very good deal. Considering that every other option in the Brookings paper has either been openly tried since 2009, or is in the process of being executed currently, it would be folly for readers to believe that this “superb offer” is not in reference to the “nuclear deal,” and that it is not somehow going to play out precisely as US policymakers have schemed for years. For those that do doubt the “nuclear deal” is anything but a “superb offer” US policymakers fully plan to use against Tehran in the near to intermediate future, evidence that the West has no intention of accommodating Iran’s current political order or accept its growing geopolitical influence across the Middle Eastern and North African region (MENA), can be seen in neighboring Syria and amid the ongoing conflict still raging there. Skeptics can also consider the war in Yemen, and continued meddling by the US everywhere from North Africa to Central Asia – particularly in Afghanistan which lies along Iran’s eastern border. 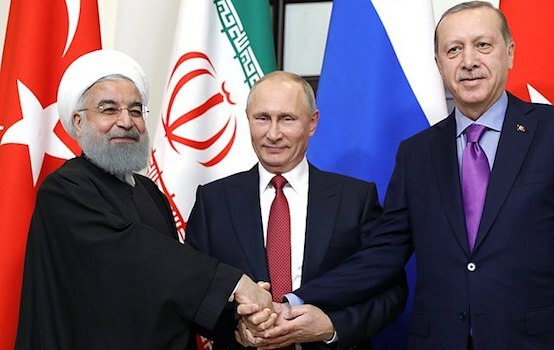 Syria in particular has long been acknowledge to be a proxy war between the West and Iran, and to a greater extent, between the West and Russian-Chinese influence. Other nations have been lured out into the open with such promises – nations like Libya. It would be hoped that Iran understands that it is by no means “exceptional,” and that no matter how tempting the West’s “superb offer” may seem, that Tehran would prepare fully for betrayal, suddenly and completely, by those brokering it. This hope for Iranian caution would be based on the assumption that Tehran watched and understood the full process of Libya’s destruction. Libya too was promised rapprochement with the West if only it abandoned its traditional alliances, released thousands of dangerous prisoners – members of terrorist organizations that would later be arrayed against Tripoli – and “cooperate” with the West in a variety of economic and military endeavors. 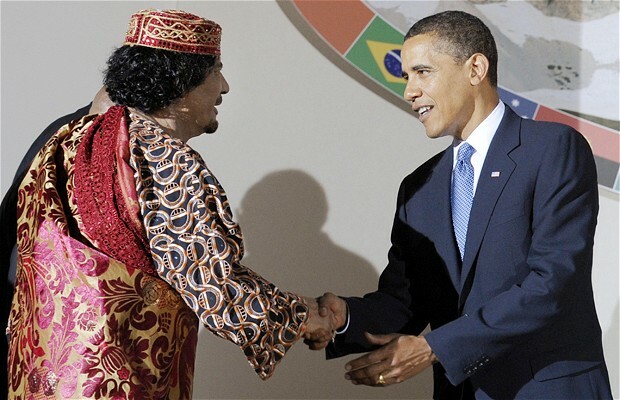 With Libya lured out into the open, the West quickly armed and funded the very prisoners it convinced Tripoli to release, provided them with NATO aircover, and systematically destroyed the nation of Libya. In the end, Libyan leader Muammar Qaddafi was cornered with the help of French and American military assets, and brutally killed at roadside by militants who would later form the foundation of the so-called “Islamic State” (ISIS) in Libya. Today, Libya as a functioning nation-state no longer exists. After genocidal purges and continued internal war, the country is divided with two “governments” and hordes of armed groups existing in anarchy. With the nation divided and destroyed, the US and its European allies are incrementally invading and occupying what is left, taking over oilfields with the intention of pilfering what is left of Libya’s once vast wealth and resources. Libya, as it exists today, will likely remain weak and subjugated by Western control for decades to come – not unlike Libya under European control (British, Italian, and French) before Libya achieved independence. Iran too has followed a similar path – from being subjugated directly by Anglo-American interests or ruled by Western-controlled client states, to an independent nation besieged by its former colonial masters seeking to regain their lost holdings. Like Libya, Iran is being lured out into the open. By lifting sanctions, Iranian hydrocarbons will flood international markets, further weakening Iran’s allies in Moscow and Beijing. When the time is right, the “nuclear deal” will be turned against Tehran, and without Moscow or Beijing in a position to aid Tehran, it will fall just as Libya did. US policymakers have literally penned, signed, and dated documented conspiracies to use a “superb offer” as a means not of restoring ties with Iran, but of undermining and destroying it. US policymakers have demonstrably done precisely this to both Libya, and in many ways, to Syria. The US is to this day still arming, funding, and backing a terrorist army in neighboring Syria with the intention of destroying several of Iran’s most crucial allies – not only the government in Damascus, but also Lebanon’s Hezbollah. The US is still engaged in military operations along Iran’s eastern borders in Afghanistan. In the game of geopolitics, Iran’s current predicament could not be any more obvious, nor any more dangerous. This is not the beginning of a new and hopeful chapter between Iranian and Western relations. It is but a shift in tactics and public perception that will bring with it a new array of challenges for Tehran and its allies to navigate. Western backed terrorists surging in Syria and Iraq, form the very same dagger once aimed at Libya’s back. This “superb offer” by the US seeks to take down Iran’s guard so this dagger can be sunk fully into the Iranian state.